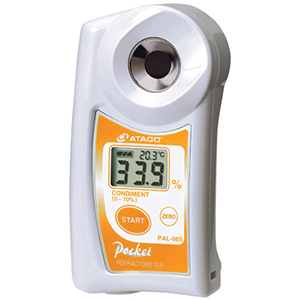 Digital Hand-held “Pocket” Condiment Meter PAL-98S is ideal for measuring the concentration of various condiments. Use it to measure soy sauce, ketchup, marinades, curry and many other sauces. Finding the relationship between the actual taste and the measurement value using the PAL-98S will help any chef ensure the best taste every time.